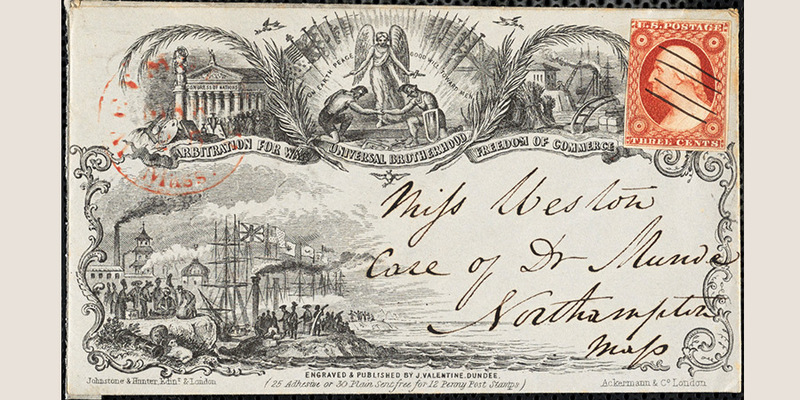 For the past several years, the Associates has funded the cataloging and digitization of over 12,000 pieces of abolitionist correspondence and related materials. 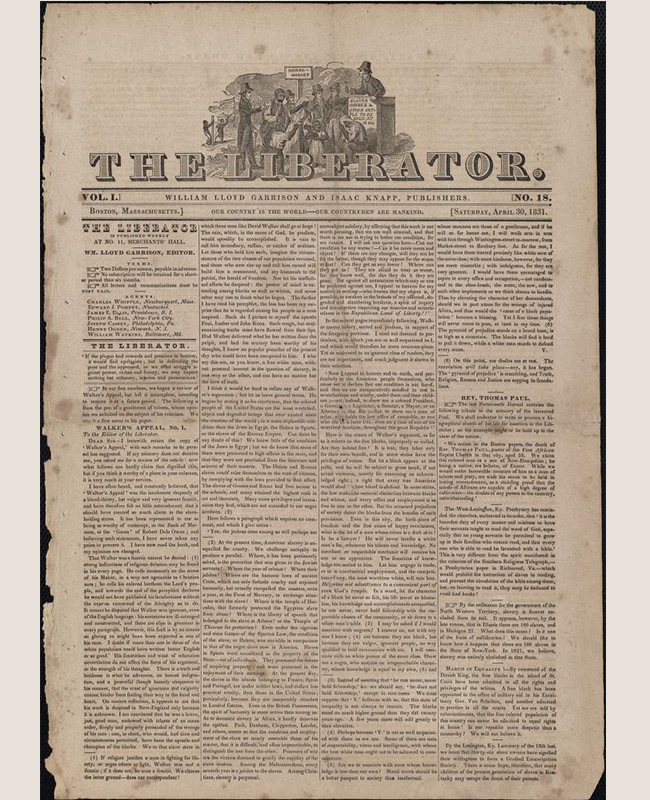 Ranging from letters and newspapers to broadsides and pamphlets, these documents relay the thoughts, passion, and activities of the anti-slavery movement New England from 1832 until after the Civil War. The collection includes papers from such notables as William Lloyd Garrison, Maria Weston Chapman and Deborah Weston, Lydia Maria Child and Amos Augustus Phelps. You can visit the collection online at Digital Commonwealth. The BPL has recently partnered with Zooniverse.org, a crowd-sourced platform that allows people from around the world to participate in a variety of research projects from the comfort of their homes. 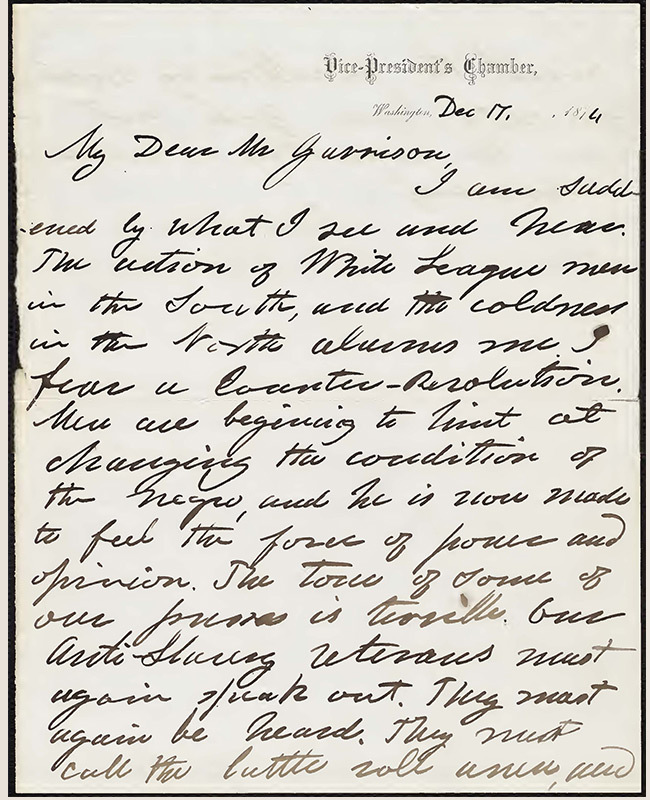 The abolitionist letters have been uploaded, and anyone can transcribe them. Try it for yourself! Each letter is transcribed three times, for quality control. If each transcription matches, it is then retired. Once all the letters are transcribed, they will be uploaded to Digital Commonwealth, and easily searchable by students, scholars, and the curious layman. Having worked so hard to decipher these words, their meaning was more deeply engraved on my students' hearts: it would be much harder, from here on out, to believe that slavery was "just something people thought differently about back then." Instead, my students know that resistance has long been a part of American society—a worthy lesson to glean from a document that we initially believed so hard to understand. Without the support of our donors, we would not have been able to catalog or digitize these materials, and further support the educational efforts of teachers across the country. Thank you for your support!